Surrounded by an English-style park with old trees, there is Villa Bossi, elegant mansion built between the sixteenth and the eighteenth century. The frescoed interiors and coffered ceilings, the period furnishings and antiques, the Italian-style garden enclosed by the hornbeam hedges, the imposing three-hundred-year magnolia and the various flowerings and blossoming that alternate in the seasons are the ideal setting where your event in Italy can take place. Villa Bossi, historic villa in Bodio Lomnago, is an architectural complex consisting of a typical structure of the sixteenth century and an important wing rebuilt in the eighteenth century, and consists of forty-six rooms. It is a listed building under the law for the protection of national architectural heritage, among which it is classified as “building of particular historical importance”. Villa Bossi overlooks an Italian-style garden enclosed between hornbeam hedges, surrounded by an English-style park with ancient trees. 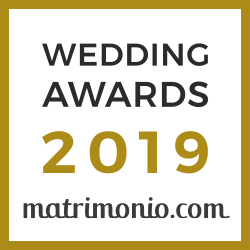 The suggestive sixteenth-century kitchen, the eighteenth-century frescoed halls, the library with the original pool and the ancient cellar are furnished with antique furniture and objects that create a warm and elegant atmosphere to hold wedding receptions and private parties. Guided tours and Workshops: our expert guides bring students from all schools, families and groups into a fascinating journey through Villa Bossi and its beauties: the Harpsichord Atelier, the Collection of Ancient Musical Instruments, the Frescoed Rooms, the Italian Garden, the Ancient Cellar. The history of the Bossi family is depicted together with the history of music, while unique Workshops complete a day of discover and pleasant learning. The concerts and the theatre plays of the Red Carpet season conquer a growing audience with their wide high-quality offer. Among the protagonists of the musical season we have the great musicians of the Accademia Europea Villa Bossi and its young talents, while the theatre plays are produced in partnership with Giorni Dispari Teatro and other important companies. One of the most esteemed location in the region of the Italian Lakes, Villa Bossi welcomes wedding banquets and any kind of private event. The variety of its spaces makes it suitable to host an elegant baptism, a bubbly birthday, a fun cooking class or a fine art exhibition. By virtue of an agreement signed with the Municipality of Bodio Lomnago, obtained with the consent of the Prefecture of Varese, at Villa Bossi it is possible to celebrate Official Civil Ceremonies. Having the elegance of Villa Bossi at disposal is a new experience for the companies that are looking for a warm and charming place, able to stimulate the curiosity of their guests. Villa Bossi, for the quality and the amount of its spaces, is an ideal setting for photo and video shooting. The musical vocation of Villa Bossi is expressed by an accurate set of services aimed to make each event unique. LAST MINUTE: VENERDÌ 12 LUGLIO 2019 DISPONIBILE! A seguito di una disdetta il giorno Venerdì 12 Luglio 2019 è nuovamente disponibile. Don't miss the concerts and the theatre plays of RED CARPET Concerti and RED CARPET Teatro. We will also inform you about special events and other news. Frequency: 1 email per month. You can unsubscribe at any moment. Per un'esperienza di navigazione migliore il sito utilizza cookie. Per saperne di più clicca Qui Proseguendo la navigazione o cliccando su Accetto acconsenti all'utilizzo dei cookie.